Having planned to move 1,400 staff and create a London Campus, Apple is reportedly looking for alternatives after the building project has fallen behind schedule. Battersea Power Station remains a distinctive feature on the south bank of London's River Thames even though it hasn't generated electricity since 1983. The structure has been abandoned since but is now being renovated for use as office space. 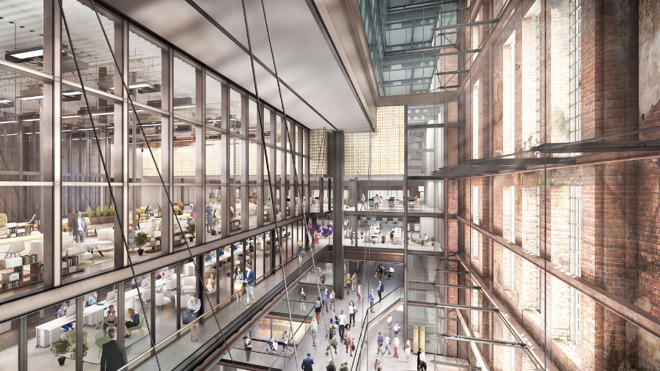 In 2016, Apple and the Battersea Power Station Development Company announced plans for the technology firm to move in. According to plans then, Apple was intending to occupy space on all six floors of the site and move 1,400 staff into it. Currently they're spread across eight offices in the city and the aim was to have the facility open in 2021. The site was also announced as being developed into a residential area with some 20,000 apartments. Now, however, The Times newspaper reports that sources say Apple is looking for alternative sites. It's most likely to be regular due diligence with Apple working to ensure it's not dependent on one single site. However, this news comes as the development company confirms construction delays have resulted in some residential buyers pulling out of the project. "We are a number of months delayed, absolutely," said developer Simon Murphy. Speaking of the residential buyers, he added that "we told everyone what the situation was, we offered them the chance to stay or go, and I'm delighted that 80 percent have said they will stay." 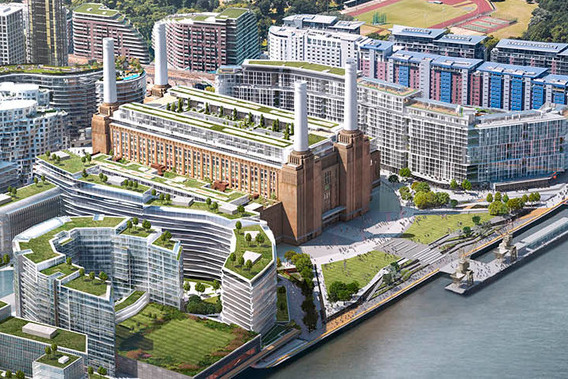 Apple declined to comment and no other business either currently in the site or joining later has confirmed a move away from Battersea. "We'll give [Apple] that building at the end of 2021. That's what everyone is very confident about at this stage," said Murphy. "And you'll probably see Apple coming in some time after. Their fit-out [installing services, furniture and IT] is a big job." Battersea Power Station has been empty since it closed in 1983. In 2012 the site was bought by a consortium of businesses from Malaysia. The building isn't as immediately well known outside London as in it —Battersea Power Station remains iconic for its appearances in art and music. The building with its four chimneys was featured on the cover of Pink Floyd's Animals and in the film Help by the Beatles. In 1965 it was included in a Doctor Who story.